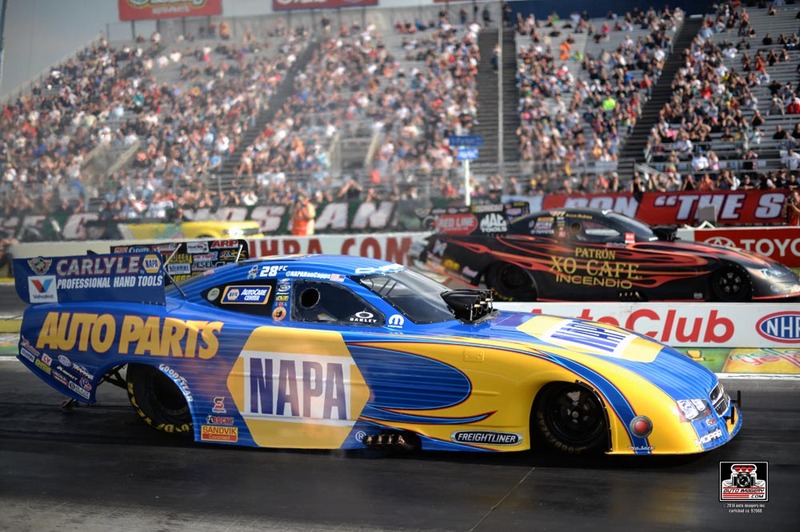 POMONA, Calif. (Nov. 16, 2014) – Crew chief Rahn Tobler and the NAPA AUTO PARTS Funny Car team found some magic testing at Las Vegas two weeks ago and it continued when they arrived at Pomona, Calif., for the final event of the 2014 NHRA Mello Yello Drag Racing Series season. 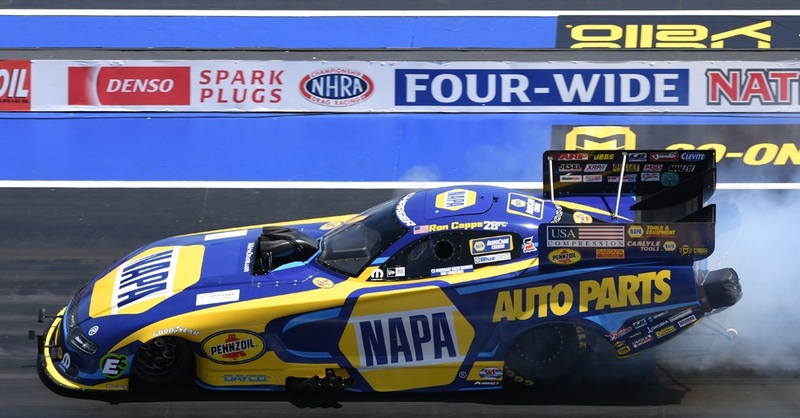 Driver Ron Capps qualified third for Sunday’s championship eliminations in the NHRA AAA Auto Club Finals with a time of 4.005 seconds and recorded a 4.028 (317.79 mph) to win in the first round. 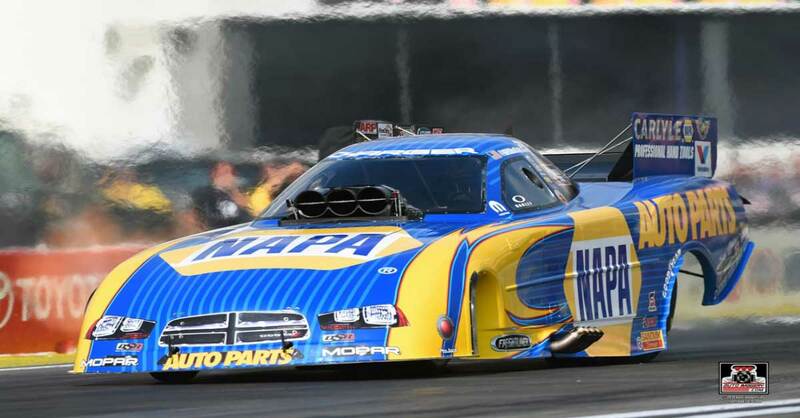 But he ran into a tricky lane in the quarterfinals and lost traction in a loss to Don Schumacher Racing teammate Matt Hagan, who went on to win the NHRA Funny Car world championship and event title. “We had a great weekend. We had a great car. 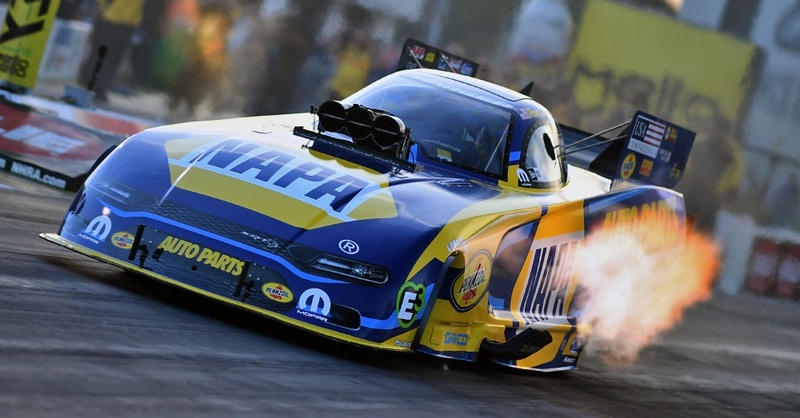 We just spun the tires,” said Ron, who finishes the season ranked eighth in points. 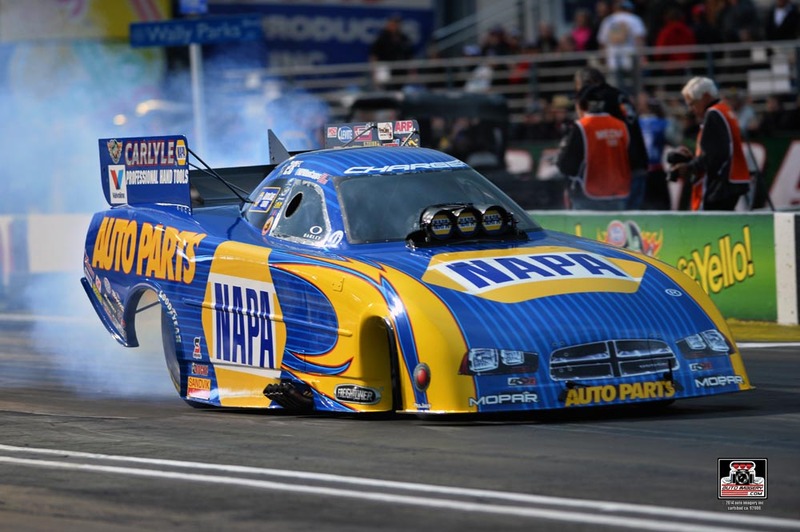 “On that last run it smoked the tires at about the same spot (Robert) Hight pulled them loose before we ran. We went up there without lane choice and unfortunately the tires came loose. 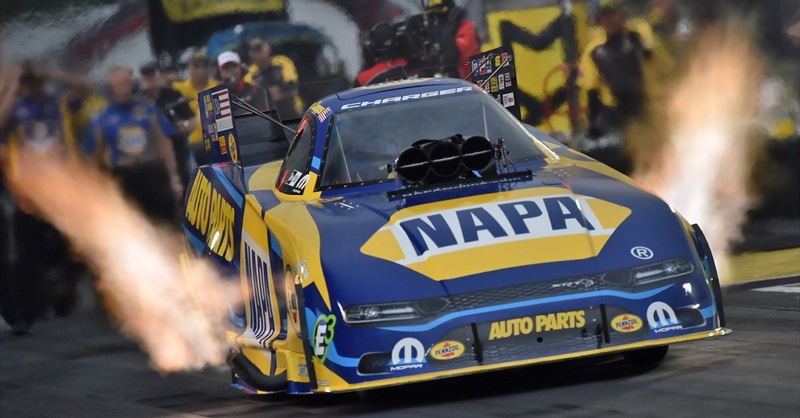 “But it was a great weekend for the NAPA team. The car was running awesome. The conditions were warmer today, so that threw a little bit of a curve at the crew chiefs. “We’re excited for the off season and getting back here in 11 weeks. We’ll have the new Dodge Charger R/T body for next year, and I’m excited about that. My teammates who have driven it say great things. 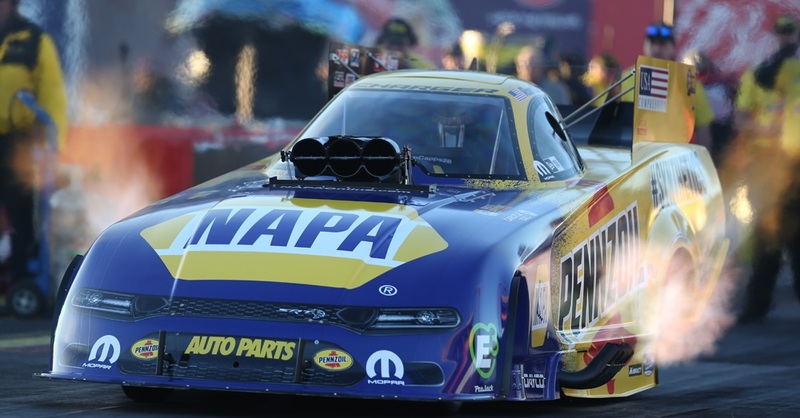 Although he won’t be driving his NAPA Funny Car for a couple months, Ron will be busy.